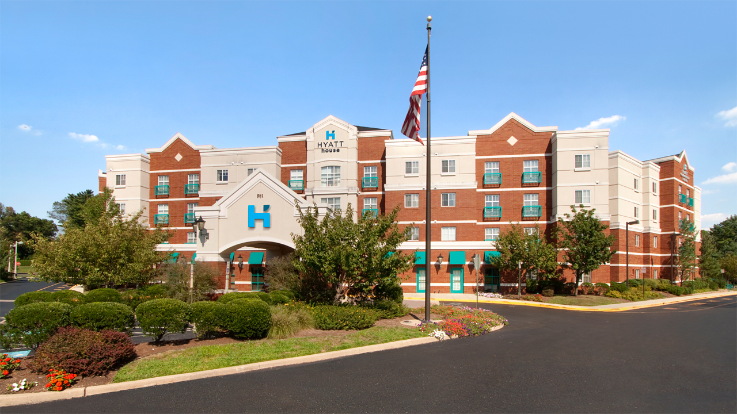 Hyatt House Philadelphia/Plymouth Meeting is nestled in the quiet and serene location 20 miles northwest of Philadelphia. The brand new hotel accommodations offers a modern and quiet place to stay, perfect for business travelers and class attendees. The meeting room is spacious, clean, and comfortable.